Most government policies concerning the redistribution of income and wealth fall into the categories of taxes, subsidies or regulation. Income and wealth taxes are obvious examples of the first, and the social security system of the second. The third includes legislative attempts to control the price that people receive for the sale of their resources; the classic case is the minimum wage. 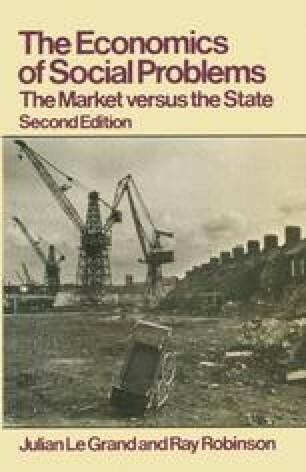 In this chapter we examine the implications for equity and efficiency of these kinds of policy, beginning with income taxes and the social security system, continuing with proposals for integrating the two through a ‘negative’ income tax or social dividend, and concluding with minimum wages and wealth taxation.